Find your local bail bondsman with the best prices and payments! An arrest is a very sensitive and critical situation. As a parent, you want to get your loved one out immediately. You want to make sure they don’t get self-incriminated by speaking to Authorities without fully understanding their personal situation. Contacting a bail bond company is a priority, find your local bail bondsman now and speak to a trusted CT agent. Remember, a 3-D Bail Bondsman will be able to find out more information about the bond. He’ll also explain the bail processing, the cost or fees and the length of time that will take to get your loved one released. 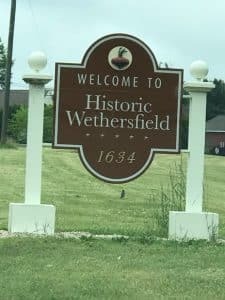 When in need of a local bondsman in Wethersfield, call 860-247-2245. Licensed and experienced bail agents are always near the Wethersfield Police Department. It is very important to verify the bail bond company or bondsman name by searching and reading testimonials and reviews about them. 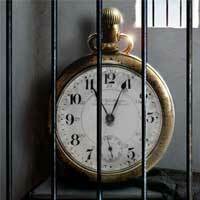 Your personal information and your money could be at risk when using an unreliable bail bonds service. Visit the CT DOI and verify their information. 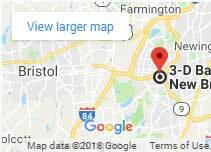 Our Wethersfield Bail Bondsmen are Wethersfield residents, very familiar with the bail processing at all CT jails. They’re reliable, empathetic and friendly and are trained to help customers during stressful situations like the event of an arrest or when facing active warrants with a future arrest. To learn more about our services, please visit our blog and stay up to date with all CT bail bonds news. Geographical Area No. 15 at New Britain serves the towns of Berlin, New Britain, Newington, Rocky Hill, and Wethersfield. 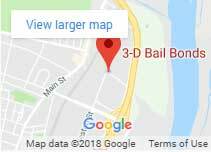 3-D Bail Bonds Agents are happy to answer any questions you may have regarding your court dates or finding the date and time of your next court appearance in a criminal court. You can also find more information regarding pending cases and other courts in Connecticut here.